Every year, the BCAMA honours organizations in BC who have demonstrated excellence and creativity in their annual marketing efforts. Last year, in addition to honouring the Marketer of the Year, the BCAMA added three new recognition awards to the lineup: Marketing on a Shoestring, Community Engagement or Not-for-Profit Marketing, and Public Relations or Experiential Marketing. 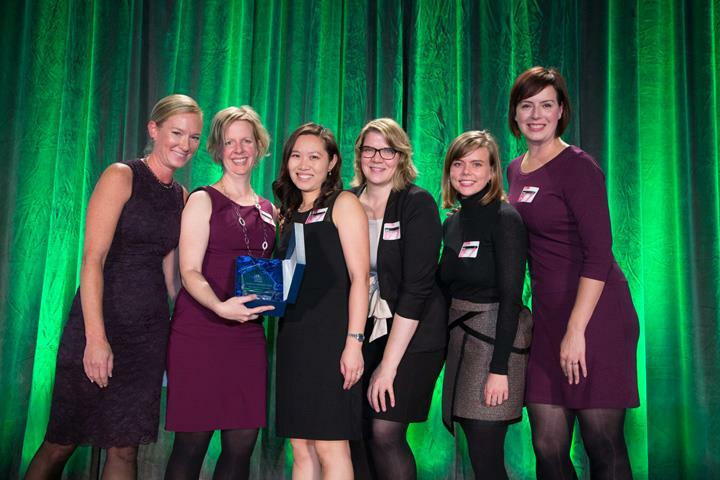 The winners were announced at our Marketer of the Year gala in October 2015. Over the next couple of months, we’ll explore the winning campaigns in these categories and take a look at the approaches they took to accomplish their marketing goals. First up, COBS Bread, who won the inaugural Marketing on a Shoestring recognition award. As a member of the Breakfast Club of Canada, COBS Bread wanted to educate the public about this national program that gives children access to healthy morning meals before school. The company also wanted to raise awareness around why COBS Bread participates in the program, and how the community can make a difference. To do this, they created the COBS Cares campaign. Rooted in traditional marketing and PR efforts, the COBS Cares campaign relied on traditional PR tactics as well as social media and internal resources to spread the word about their partnership with the Breakfast Club of Canada and to raise funds for the cause. First, COBS Bread highlighted local champions who supported this great initiative. By putting together a short video and sending out a press release through newswire services, COBS was able to secure coverage in local papers and on radio, as well as on morning talk shows. COBS then turned to social media and to their active email subscribers to push out the message even further, encouraging customers to participate in local fundraising events and ensuring the campaign was top of mind. Social media posts mentioned @BreakfastCanada and included the hashtag #COBSCares to generate more buzz for the campaign. To help reach their goal of raising $75,000, COBS also used internal resources such as the company intranet to update bakery teams about the progress of the fundraising and to get them excited about upcoming events. Internal videos were also included in weekly staff e-newsletters. In the end, COBS Bread customers donated $39,785 and their bakeries donated $39,220 through the sale of Higher Fibre and Whole Wheat loaves from September 12 to 20, 2015, for an incredible donation total of $76,005. In addition, through a shared event sponsorship of Picnic at the Beach, COBS raised another $12,895. Not only was this an impressive amount of money raised for a great cause, but COBS Bread’s overall impressions in the local community also increased—resulting in customer donations that were three times more than in the previous year, and introducing over 30,000 customers to the Breakfast Club of Canada program. Congratulations to the COBS Bread marketing team! Their efforts to help support this great initiative and raise awareness for such a great cause shows that using what you’ve got can go a long way. Watch this blog next month for our next overview of the winning recognition award campaigns.